First established in 1898 in Toledo, Ohio, the Conklin Pen company began manufacturing in the golden era of fountain pens. Founder Roy Conklin registered the patent for the first working automatic filling mechanism. In 2019 an experienced pen producer in the U.S. purchased the Conklin brand. New materials and technology are now used to produce these original Conklin designs so highly valued by collectors and pen enthusiasts throughout the world. Machined to perfection and painstakingly hand-polished, the Nozac™ body features eight smooth faceted sides and is then adorned with striking silver along the clip, grip, and ends. Made from European acrylic resin, each writing instrument displays a wide variety of color. Offered in Toledo Red or Ohio Blue and dappled with shades of white and silver. Each cap is magnetized along the barrel and innermost lining for a secure closure, whether at the office or traveling. We have a wide selection of colors and point sizes in the Parker Style refill used in the Nozac. Grab one (or several) of these shimmering jewels while they’re still available. Save 60% while it lasts. It ships Free on 4/25! 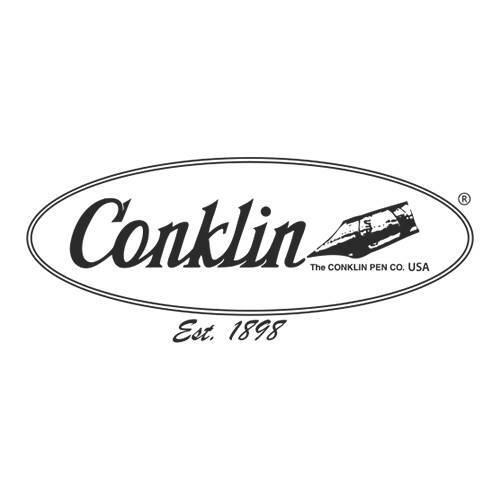 Established in 1898, the Conklin Pen Company® is regarded as one of the most significant American writing instruments manufacturers from the golden era of fountain pens. Located in Toledo, Ohio, founder Roy Conklin, registered the patent for the first working automatic filling mechanism in 1897. Conklin is recognized as creating one of the world’s first practical self-filling fountain pen. 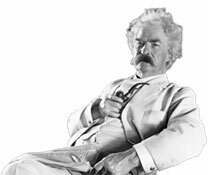 In 1903, Mark Twain, the legendary American author and official spokesman for The Conklin Pen Company, expressed the virtues of this unique self-filling fountain pen by saying, "I prefer it to ten other fountain pens, because it carries its filler in its own stomach, and I can not mislay even by art or intention." In 2009, the World's leading source for fine writing instruments, Yafa companies, purchased the Conklin brand and is the world-wide distributor for this iconic American brand. Founded in 1978, owner, Yair (Jerry) Greenberg, is proud to utilize more than 36 years of experience to bring back the original creed and dedication of the original Conklin Pen Company. The new Conklin Herringbone series combines vintage appeal with a modern style and elegance. The unique Herringbone pattern is achieved by using a computerized engraving machine to cut the deep pattern. This pattern is seen underneath a special translucent lacquer which is then coated with layers of epoxy for protection. The fountain pen uses a standard cartridge or converter (which is included) and is available in fine, medium and 1.1mm stub point sizes. The Herringbone ballpoint is the popular ‘twist to deploy’. It takes the most common refill sold, the Parker Style. We offer this refill in three ink choices, in 11 colors from fine to broad. In 1923, the original Conklin Duragraph was named by combining the words, durable and graph and quickly became one of Conklin’s most essential designs. The new Nights collection brings that classic sensibility to the modern era with a stunning, yet highly affordable design in either Orange or Purple. Crafted from quality handmade resins, the Duragraph is substantial in size, yet not so large to be unwieldy in the hand. Offered at an astounding $65, the Duragraph fountain pen continues to stand for value. The stainless-steel nib is available in Fine, Medium or Stub nib grades. The Duragraph fountain pen offers the ideal choice for your individual handwriting style. The cap’s top is embellished with the ‘Conklin Est. 1898’ logo and the cap’s band is engraved in the traditional Duragraph script font. The fountain pen fills via standard cartridge or converter, which is included. The matching ballpoint accepts standard Parker style refills. Dozens of fountain pen ink or ballpoint refills are available and shown with the pen. Colorado Pen customers always amaze us. They jumped on the reintroduction of this historic Conklin Duragraph – in a major way. A very discerning bunch who know great value. So much so that we are adding a new finish, the ICE BLUE Duragraph fountain pen and twist-top ballpoint. Feel a kind of coolness in the heat of summer with new ICE BLUE finish. The popular forest green and amber models remain a great option too. If you are a timid fountain pen wannabe, this is a nice entry into a new writing experience. If you are a practical ballpoint fan, you will love the pocket-perfect profile of this Duragraph and the wide array of refills it uses.